Check out our Annual Summer Solstice Event and celebrate the longest day of the year! Drumming, Dancing, Music, Art, Food and much more! Calling all artists to participate in the juried art event. 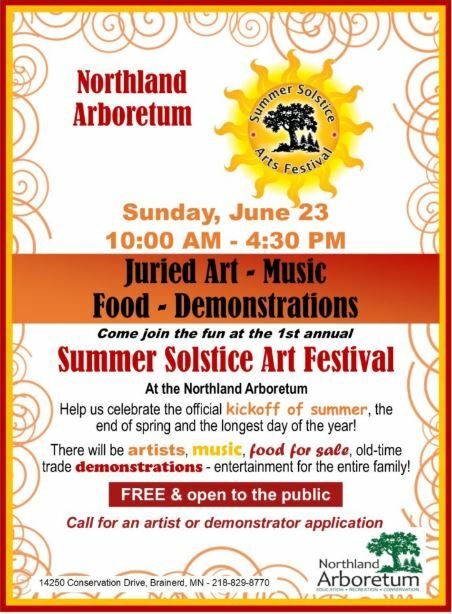 More details available by calling the Northland Arboretum, 218-829-8770.